We provide fast support. We will respond to your email within a few hours. 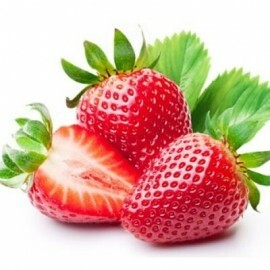 You can be sure that you will get quality e-juice with nicotine. We provide highest quality products. E-cigarettes and nicotine e-juices have become the most popular new way for people to enjoy smoking. With the convenience of a re-fillable smoking device that doesn’t require any flame or produce any smoke, it’s easy to see why so many people have switched to e-cigarettes with nicotine liquid. Being able to enjoy e-juice flavours in more locations, with fewer hassles all at a cheaper price than buying tailored cigarettes is what has made it so appealing to buy nicotine e-liquid in Australia. We recognise this fact and have a built a business designed around providing premium e-liquid in Australia. The unique range of flavour experiences that e-liquid can allow is one of the main factors in their current popularity. People can now enjoy smoking flavours that replicate the taste of food, drinks and everything in between. If it has a flavour, there’s probably a nicotine e-juice for it. At E-liquid mate our mission is to provide the highest quality range of nicotine vape-juice in Australia. We aim to provide the best liquid flavours for e-cigarettes in Australia. We know that there is a demand for vape liquid in Australia and e-liquid with nicotine in Australia so we aim to meet that demand wherever possible. While the law currently makes it illegal to produce and sell e-liquid nicotine infused flavours within Australia, it is not illegal for people to buy them from overseas. Our service works to bridge the gap between Australian e-cigarette users and the overseas market. We aim to be one of the best e-liquid suppliers in Australia. All of our flavours are sourced from Europe so you know you are getting a high quality product that is commonly used by e-cigarette enthusiasts overseas. We believe that adults should be able to buy e-liquid nicotine in Australia. Australian should be able to make the same choices as people in other free countries and have access to the same high quality e-cigarette products. The law makes the only legal way to buy e-liquid with nicotine in Australia to order it from overseas. We aim to provide the most affordable delivery options for e-liquid in Australia. All of our liquids are freshly made before shipping so that they last as long as possible once they are in your hands. We have categorised our offerings of e-cigarette flavours into four distinct areas. These categories each cover a different range of flavours fitting different palettes. Our website makes it easy to buy nicotine liquid online. As one of the most popular ranges of liquid flavours for e-cigarettes we offer, our tobacco selections are praised by customers as some of the best e-liquid with nicotine products on the market. For the smoker who appreciates the authentic taste and texture of tobacco, there is no better alternative for your e-cigarette juice than one of our tobacco e-liquid flavours. The presence of nicotine in our tobacco flavours ranges from strong to mild depending on the experience you want to have. Our tobacco products flirt with different earthy and woody aromas, providing a unique experience for each flavour you use. Our products explore the full range of flavour experiences tobacco has to offer and provides a wider variety of choices than any brand of tailored cigarettes. Even our strongest flavours remain soothing in their after taste while providing the distinct tobacco hit that you are craving. Don’t compromise on the tobacco experience that you want. Browse our diverse range of tobacco e-cigarette flavours so you can find the perfect match for you. We are confident that you’ll love what we have to offer and continue using our service for all your tobacco liquid nicotine flavour needs. 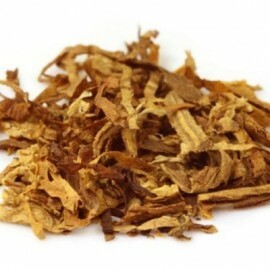 This classic tobacco flavour is a favourite among our customers for its earthiness and comforting, warm aroma. 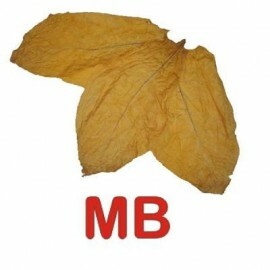 A great choice for cleansing the palette between using other flavours, MB is a crisp and pure choice for any tobacco lover. 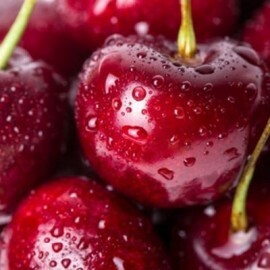 This flavour combines the taste of a fine cigar with the qualities of a juicy cherry. Plenty of people love the flavour of a cigar on its own but discover a whole new sensation when throwing cherry into the mix. 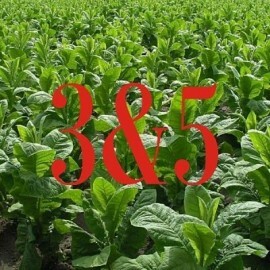 A uniquely flavoured tobacco sourced from the fields of Virginia State USA. This flavour is popular for its ability to transport users to the old south of America, evoking the feeling of being amongst a refined tobacco smoking culture in a simpler time. Designed to mimic the flavour of French pipe tobacco, it has a faint taste of cigar that helps achieve a full bodied flavour that will convince you that you’re smoking the real thing. Not only do our products aim to provide nicotine infused flavours but to satisfy the cravings of the many sweet toothed smokers out there. Our sweet flavour range is one of our most popular and we have made a point of providing a diverse range of delicious offerings for vape liquid in Australia. Our fruit flavoured e-cigarette juices are designed to carry the aroma and unique taste of each type of fruit without being overpowering. We have selected all of our sweet juices based on the balance they strike between taste, smell and potency. We know that as one of the key reasons peoples use e-cigarettes it is important for us to provide a diverse range of flavours for people to experiment with. This is why you will find such unique offerings in our sweet flavours category as we want our customers to be exposed to as many delicious choices as possible. We know you are curious about the experience of smoking these mouth-watering flavours and we encourage you to browse our selection of sweet e-cigarette juices. If you’re someone who enjoys a wide range of fresh and juicy foods you’ll fall in love with our sweet e-cigarette flavour range. Why choose between the aroma of cherries or apples when you can have both? This flavour combines the juicy sweetness of cherries with the light tartness of apples providing a unique smoking experience that is sure to become a favourite. 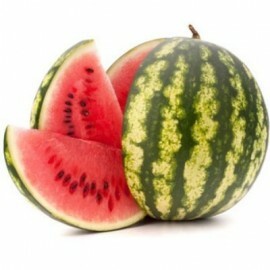 It’s easy to understand why watermelon is one of the most commonly replicated and popular e-cigarette juices on the market. With a light yet incredibly tasty sweetness you can invigorate your taste buds with this refreshing flavour. Everyone enjoys an ice-cold cola. What better way to take that unique flavour with you than in the form of an e-cigarette juice. The sugary notes land perfectly in your mouth as you enjoy the signature crisp taste of cola. Perfect to use while drinking spirits or simply on its own for a delightful cola inspired treat. The king of all sweets, it was only a matter of time before the signature flavour of chocolate found its way into e-cigarette juices. 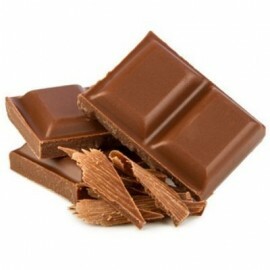 With this selection you can enjoy the sweet, decadent taste of creamy chocolate without compromising your diet. Each hit is calorie free but will give the same mood enhancing benefit as if you were consuming the real thing. Our menthol flavoured e-cigarette juice is expertly designed to replicate the experience of menthol cigarettes. You won’t need to worry about any lingering smells or bad breath when you buy e-liquid nicotine for Australia. Providing a crisp, sharp and tingling flavour our menthol juices are sure to become a favourite in your liquid collection. Perfect for a quick hit at a special occasion or break at work, these offerings will reawaken your taste buds and heighten your alertness. A flavour that nearly every smoker enjoys, our menthol range is designed to provide an identical sensation in a more convenient and cost effective way than tailored cigarettes. Don’t just take our word for it, browse our range of menthol flavours and we’re sure you’ll quickly find a new favourite. This no-nonsense menthol flavour is exactly what you can expect. Capturing the smooth blast of menthol’s unique flavour this juice is always a favourite in anyone’s liquid collection. A rich, earthy tobacco infused with a smooth and refreshing mint flavour. This juice leaves a crisp yet wholesome taste in the mouth that is sure to be reminiscent of chewing gum as a child. Experience this classic flavour as it cools your throat with each puff. A standout in our menthol flavour range, this juice combines the classic menthol taste with the sharp and refreshing qualities of spearmint. This will cool your throat and leave a pleasant scent about you and your clothing. 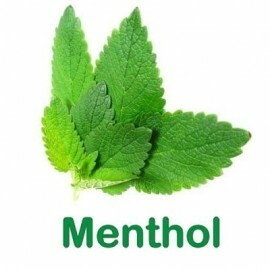 Not everyone loves menthol but they sure do appreciate the unique aroma of spearmint. Cherry seems to combine beautifully with anything and menthol is no exception. Marrying the sweetness of cherries with the crisp and refreshing qualities of shaved ice this flavour evokes the essence of hot summer days. People are often surprised to see the warm and inviting taste of café flavours being replicated by e-cigarette juice. This category sets itself apart with the signature tastes and aromas of your favourite coffee spot. The rich, smooth flavours on offer here are not just appealing to coffee drinkers but anyone with a sweet tooth. These wholesome flavours and aromas are perfect to start the day with as your first smoke and go down well after any breakfast. Our café e-cigarette juice flavours are the perfect way to enjoy the incredible tastes of the café anywhere at any time. Of course the signature taste and aroma of everyone’s favourite morning beverage has its own e-cigarette liquid. This coffee infusion is the perfect blend between bitterness and sweet, rich flavour. 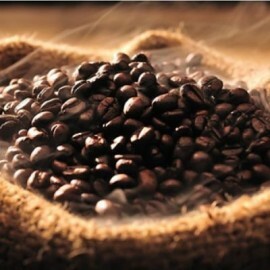 This hearty blend awakens the senses and gives you the focus to take on the challenges of the day. 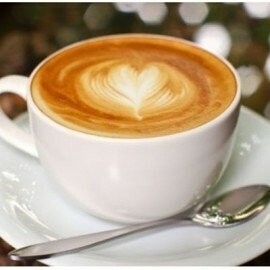 Enjoy the flavours of the quintessential coffee with our cappuccino flavours. This sweet concoction is invigorating and provides all the lovely qualities of a morning coffee without keeping you up all night. 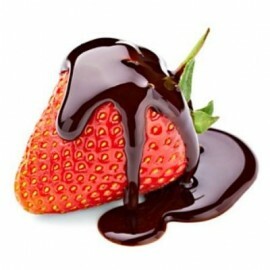 The sweet, creamy textures of chocolate covered strawberries are captured beautifully in this unique flavour. Feel as though you are biting into a juicy strawberry coated in delicious chocolate as your mouth fills up with the sweet sensation this liquid has to offer. 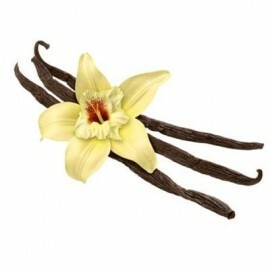 Enjoy the innocent, creamy taste of vanilla anywhere you want with this high quality liquid. The lightly spicy tang is matched with the perfect amount of sweetness to create a sensation that is memorable without overpowering your senses. 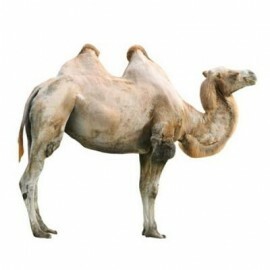 It’s simple; we understand the demands our Australian customers who want to buy nicotine e-liquid in Australia. Our entire system is designed around passing on savings to our Australian customers who are looking for an affordable way to get their hands on e-liquid nicotine in Australia. Our goal is to be the number one provider of e-juice in Australia. We want to one of the best e-liquid suppliers to the Australian market and this is reflected in our excellent product range, customer service and pricing. At E-liquid Mate we are firm believers in the right for free thinking adults to make their own decisions to buy nicotine e-liquid for Australia. We believe in providing an easy to access, legal means for vapers to access premium e-liquid in Australia. We also believe in the superiority of e-cigarettes to tailored cigarettes because of their customisability and convenience. With this in mind it’s easy to see why we provide such a wide variety of e-juice flavours to try when you buy nicotine liquid online. We encourage everyone to try everything once and that philosophy is the reason why we provide the ability to buy nicotine e-liquid in Australia. Our entire business is designed to provide the freedom and accessibility of being able to use e-liquid with nicotine in Australia. So what are you waiting for? Jump onto our online store right now to easily browse through our nicotine vape juice you can ship to Australia. We’re confident you’ll quickly find something you’ll want to try and we encourage you to order in bulk so you don’t run out. Between our easy to use online web store, our high value delivery options and our excellent range of high quality products, it’s no wonder more and more people are using E-liquid mate to get e-liquid with nicotine in Australia.